Eighteen mini-grants of up to $5,000 will be awarded through the generous support of Blue Cross and Blue Shield. The Initiative provides training, resources, and funding to assist Florida ESOL and family literacy programs to integrate health education into their instruction. The objective is to help students develop basic literacy and English language skills while gaining information to make informed choices regarding their health and nutrition. Applicants must be nonprofit or government-based organizations providing adult ESOL and/or family literacy instruction in Florida. Services may be delivered via classes, small groups, and one-to-one tutoring. If you have any questions, please contact our Health Literacy Coordinator, Maribeth Buie, at 407-246-7110, ext. 209. Click here for the grant application and guidelines. 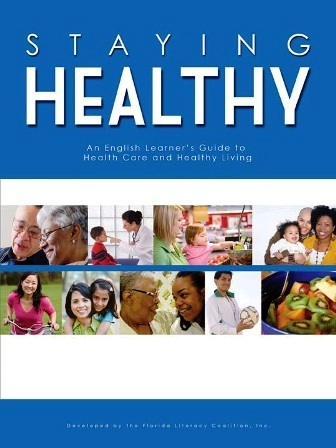 This entry was posted in Guest Blogger, Health Literacy and tagged blue cross blue shield, health literacy, health literacy grant, Staying Healthy by Florida Literacy Coalition. Bookmark the permalink.